We're huge fans of this creative new product out of Bixby, Oklahoma. 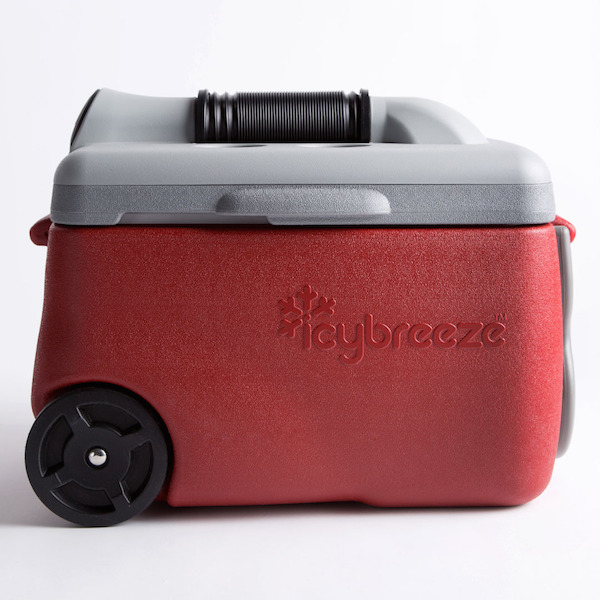 The IcyBreeze is the world's first portable air conditioner and cooler. 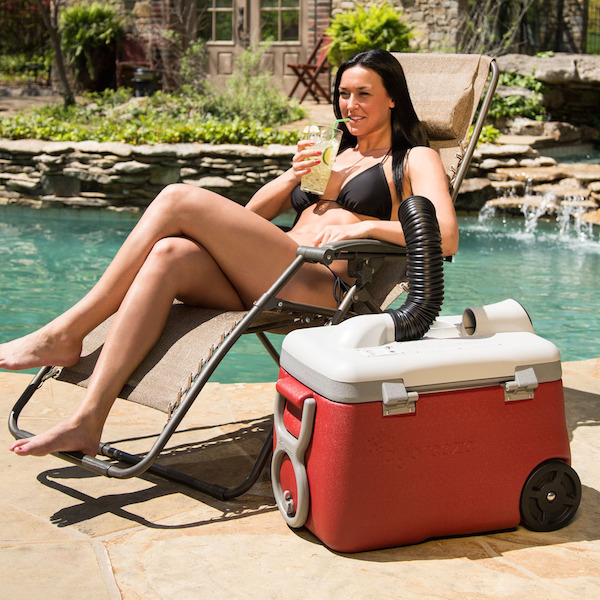 Ideal for tailgating, camping, backyard barbecues, or boating, the cooler will chill your favorite beverages and food items while providing you with some much needed relief from the summer heat. With the aid of a built-in rechargeable battery and three-speed fan, the IcyBreeze takes frosty air from inside the cooler and directs it your way with a convenient hose. Add this dual purpose product to your registry and make it a summer staple for all of your future outings. You can currently order your cooler in Polar Blue, Molten Red, or Electric Green.